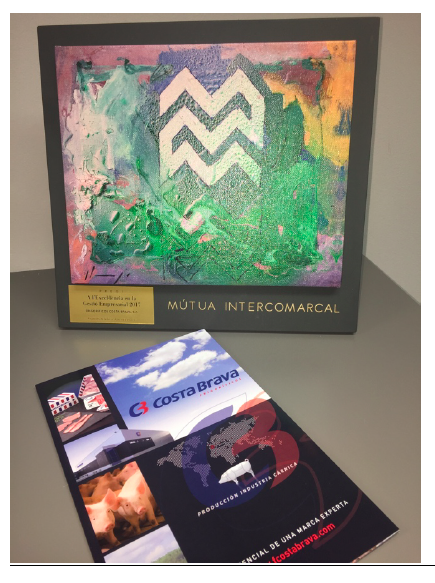 Mutua Intercomarcal has awarded the prize for Excellence in Business Management 2017 to Costa Brava Foods for promoting well being at work and reducing occupational accidents and absenteeism. 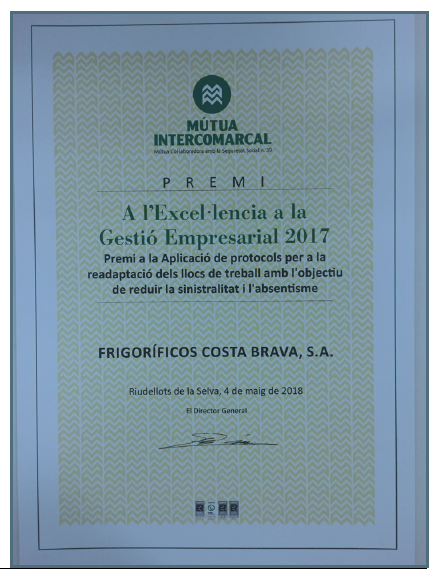 It's an important recognition for coming from an Organization that has 80 years of experience in caring for people in companies. The accident rate fell almost 35% for the last couple of years.